Washington, when you chat on the facebook and you want to show your response then facebook has prepared some new reaction features, which can become part of your video. During the discussion n, you can add the animated reactions, filter, mask and effects to make the video call more memorable and interesting. All of the users of the facebook can use them. The users can find the reactions of love, laughter, anger, surprise, or anger. They need to tap under the screen and they can select one of the five reactions, which will appear on the screen within few seconds. If the option of sadness is appeared then the cartoon ears started flowing from your eyes. 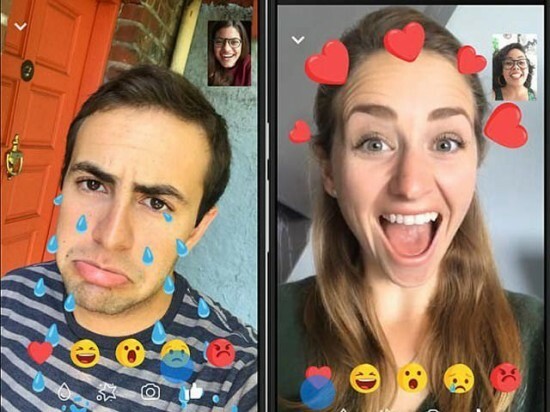 The product manager of facebook told that the facebook has retained the entertainment in the video calls so that it can be appeared or do not appear from the face. When you select the reaction, you need to keep your camera towards your face. Various other filters are also included in it, in which color, heart and the twinkling stars are also included.